The Aussie actress has easily made out best-dressed cut for the entire festival in this sweet matchy-matchy ensemble. Even with more of her skin on show than we're used to, the 45-year-old still managed to look her elegant self. 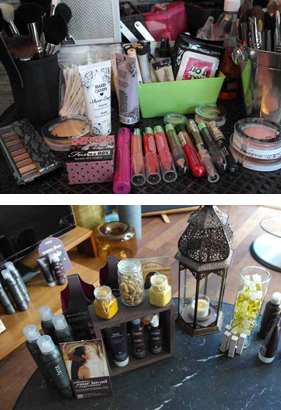 The IT Lounge again proves it's the place to be for snapping stars and indulging in Canadian goodies during TIFF 2013. Emma Watson, Nina Dobrev, and Kate Hudson also topped this week's list. Invite-only gifting lounges offer brands and designers the chance to pitch to a celebrity and dole out armfulls of free products. Toronto International Film Festival 2012 Opening Night Fashion: Who Wore What? Kirsten Dunst, Kristen Stewart, and Marion Cotillard were just a few of the celebs turning out for opening night. Keira Knightley, Kirsten Dunst, and Eva Longoria also made our top 10 list this week.